A simple, classic and smart design. 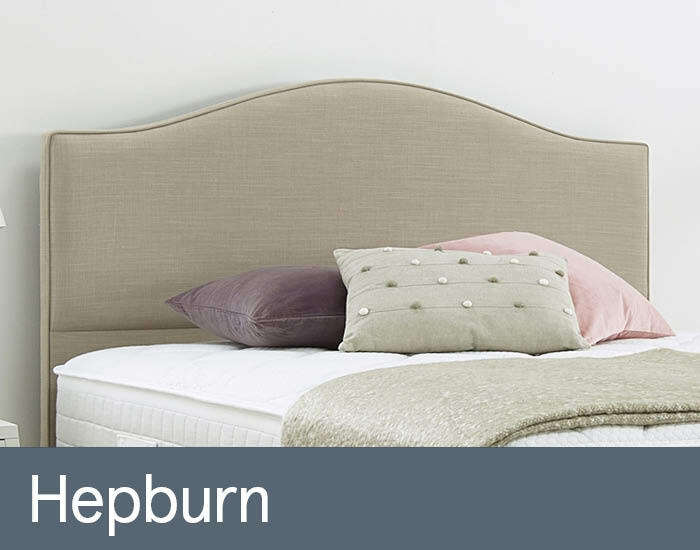 The Hepburn will add an understated elegance to your bedroom. The range consists of headboards in full length floor standing option, also available as strutted bed fix option. The headboard is available in a range of different fabrics and sizes to give a perfect finishing touch to any bedroom.